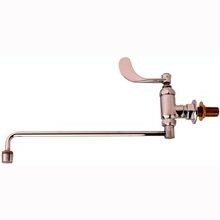 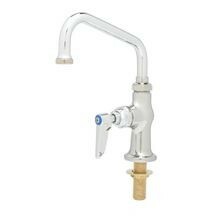 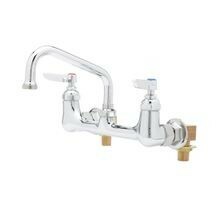 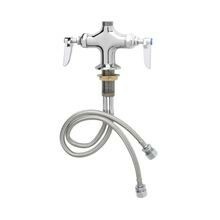 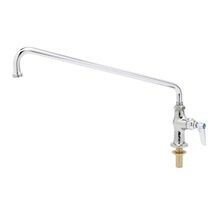 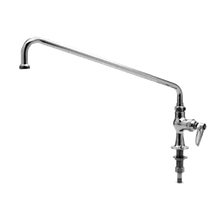 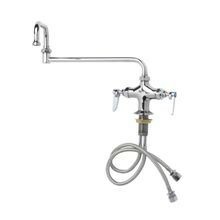 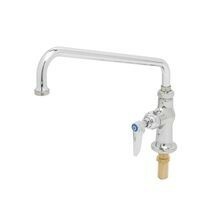 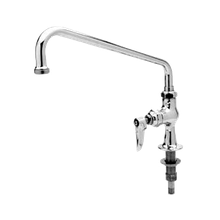 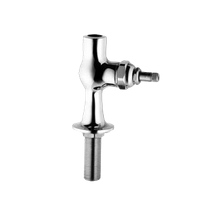 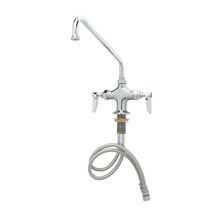 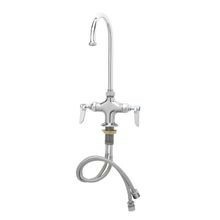 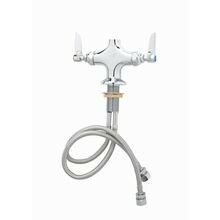 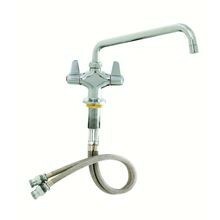 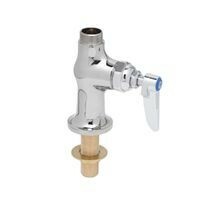 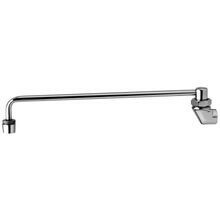 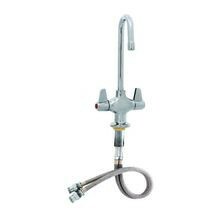 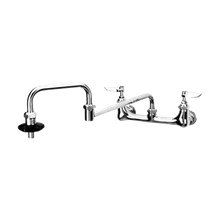 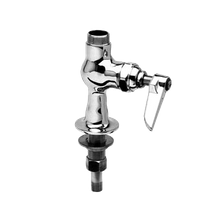 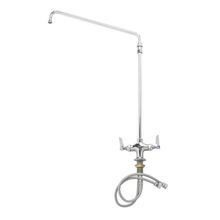 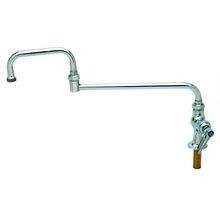 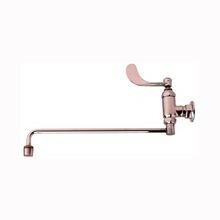 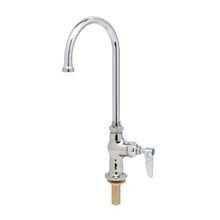 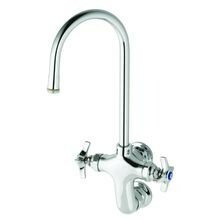 Commercial Pot Fillers | Wok Faucets | Singer Equipment Co.
T&S Brass B-0577 Faucet, Chinese Range, back mounted, for cold water only, on-off control actuated when nozzle swings to right or left, 13-3/4"
T&S Brass B-0206 Pantry Faucet, single, deck mounted, 12" swing nozzle, shank with 1/2" NPS thread, 1/4" IPS union type tailpiece, lever handle, "C"
T&S Brass B-0202 Pantry Faucet, double with 6" swing nozzle, deck mounted, lever handles, 1-1/8" dia. 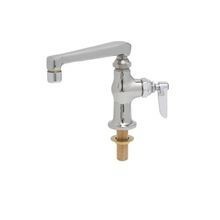 shank, 1/4" IPS union type tailpieces on 4"
T&S Brass B-0200-M Pantry Faucet, double, 18" swing nozzle, deck mounted, lever handles, 1-1/8" dia. 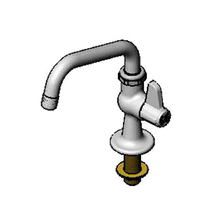 shank, 1/4" IPS union type tailpieces on 4"
T&S Brass B-0575 Faucet, Chinese Range, back mounted, for cold water only, on-off control actuated when nozzle swings to right or left, 13-3/4"
T&S Brass B-0207 Pantry Faucet, single, deck mounted, 6" swing nozzle, shank with 1/2" NPS thread, 1/4" IPS union type tailpiece, lever handle, "C"
T&S Brass B-0207-M Pantry Faucet, single, deck mounted, 6" swing nozzle, shank with 1/2" NPS thread, 1/4" IPS union type tailpiece, lever handle, "C"
T&S Brass B-0205 Pantry Faucet, single, deck mounted, 18" swing nozzle, shank with 1/2" NPS thread, 1/4" IPS union type tailpiece, lever handle, "C"
Filling your bulky pots with water shouldn't be a constant struggle. 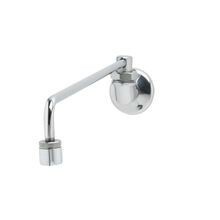 With a pot and wok faucet, oversized cooking vessels fill up quickly and easily. 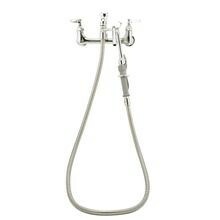 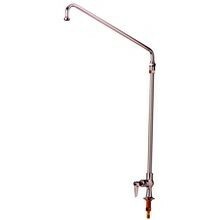 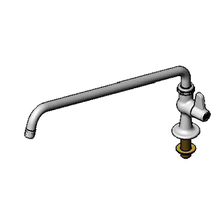 Some pot faucets even offer an extension hose so you can lift less and reduce the chance of injury. 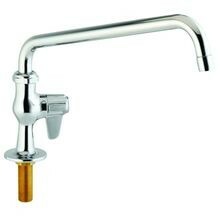 Plus, these particular faucets offer an effective solution for cleaning oversized pots and woks.